We are honoured to announce that we have been selected by BPI France and the Ministry for Higher Education, Research and Innovation as a “Grand Prix” award winner of the i-Lab contest. The “i-Lab – National Contest For Technology Companies Creation Support” was initiated in 1999. Its main objective is to detect and accelerate start-up creation projects based on innovative technologies. This contest recognizes the best new start-ups (created less than 18 months ago) in the country. Out of more than 383 candidates, 64 start-ups were awarded laureates and 14 are selected as “Grand Prix” award winners. Exotrail won in the “a Space Ambition for Europe” category. The prize was awarded to him by Mrs Frédérique Vidal, the French Minister of Higher Education, Research and Innovation at a ceremony in La Cité des Sciences, Paris. Along with the honour of receiving this prestigious award an substantial amount of public funding will be granted to Exotrail from BPI France. The amount will be known in the next few days. This year is the 20th anniversary of the i-Lab contest and is different from previous years. For the first time, the 14 “Grand Prix” winners have selected mentors to receive concrete impulses to their projects. 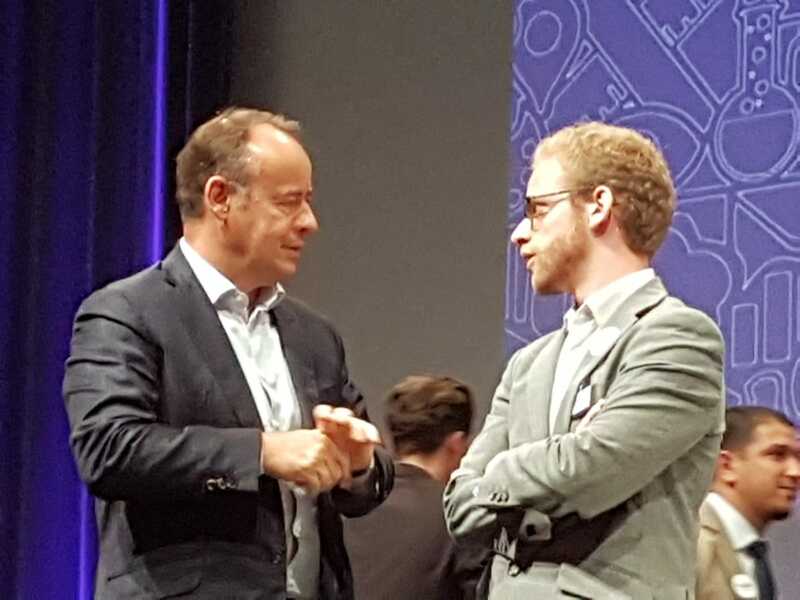 Jean-Loïc Galle, CEO of Thales Alenia Space has accepted Exotrail’s offer to become its mentor and thus help the company in go-to-market acceleration. “I am very pleased to become Exotrail’s mentor and contribute to accelerate the project’s technical and commercial phases. Thales Alenia Space open innovation approach and proven track-record in satellite constellations have the potential to stimulate concrete results in this project,” said Jean-Loïc Galle, CEO of Thales Alenia Space. 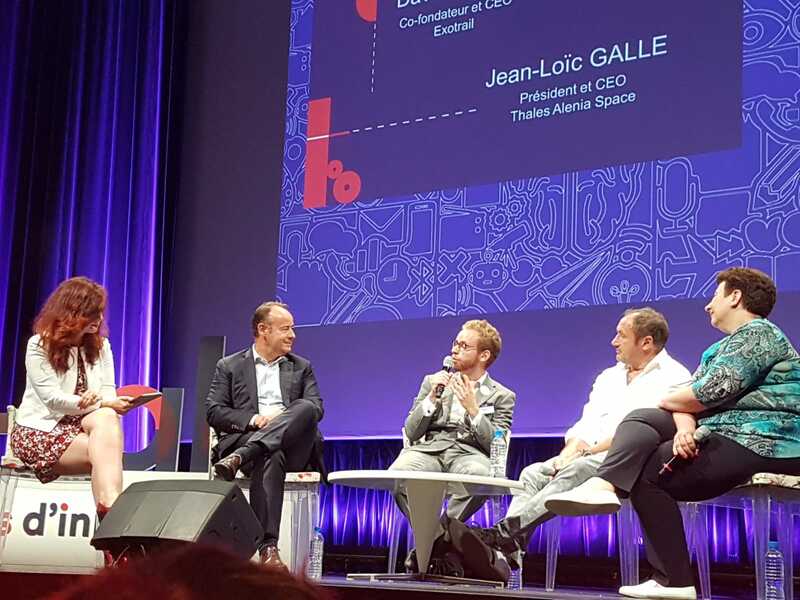 “We are really honored that Jean-Loïc Galle has agreed to be our mentor. We are really looking forward to working with him on this very exciting project. Thales Alenia Space is one of the most innovative companies in the space industry today,” said David Henri, CEO of Exotrail. The money from i-Lab along with our ongoing fundraising will be key to qualifying and demonstrating Exotrail’s Hall Effect Thruster in space, leading to an anticipated first commercial contract in 2019. Exotrail aims to grow from 7 people today to 18 in only three months.